Development of Global Navigation Satellite Systems (GNSS – commonly known as GPS) and new equipment running sophisticated software has given pilots the ability to navigate accurately without having to learn a wide range of skills. In many areas of the UK, airspace has become too complex for traditional VFR navigation techniques, leading to many people now using GPS as their sole method of navigation. However, many pilots aren’t aware that neither GPS or digital devices are 100% reliable, so the gradual erosion of traditional navigational skills could place the unwary in jeopardy. We aim to provide you with a simple guide to integrating GPS into traditional navigation. This will help you fly safely and efficiently, without infringing airspace, while giving you more confidence to enjoy your flying. There are lots of options for hardware and software, but the one feature you definitely need is NOTAM information updated at least in line with the 28-day AIRAC cycle for airspace. Most software packages include a simulator mode which is very useful for familiarisation before going flying. However, beware the trap: flying in simulator mode will always show the aircraft on-track and will take you straight to the scene of the infringement! Always check you are in the right mode before you fly. Ensure a good ‘view’ of the sky so your GPS receivers have enough satellites to operate effectively. Use a secure mount that minimises vibration and does not interfere with controls. Check it won’t jam the controls if it does fall off. Magnetic compasses may be affected if the GPS device is sited too close. Check before you fly! Ensure your cable will reach the power supply. If your device is battery-powered, take spares/a charger as appropriate. Confirm the device does not obscure your view of the instrument panel or the world outside the cockpit/lookout. Position the device so that its controls are easily accessible. Before you fly, set your preferences and practice using the program in simulator mode. Put it back on flight mode before you fly. A leg-mount allows the unit to be shaded, is close enough to read and is ideal for a small cockpit. A yoke-mount gives a good view of the device, but you may get glare and it can block controls. Most GPS software has live NOTAM and weather information, but you will need a connection to the Internet. Use the software’s flight planning tools to draft the route. Once completed, you should transfer the information to your paper chart in case the device fails. Anticipate your listening squawk requirements! Proper pre-flight planning, using appropriate techniques and aids, remains vital to the safe conduct of any flight. 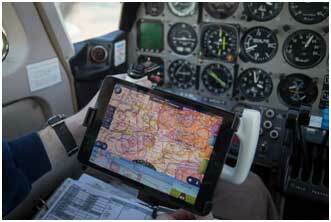 The accuracy of GPS is no substitute for sound pre-flight planning. The pilot stated that he was using an inappropriate flight information service and, with insufficient paper and pen flight planning, was over-reliant on GPS. His main GPS failed in flight. The secondary GPS was incorrectly set to a LARS designation code instead of his alternate airfield designation code. The chart he had placed on the passenger seat during flight fell between the seat and the door due to turbulence. A strong SE wind pushed the aircraft north of the planned route at higher than normal ground speed. Meanwhile, the pilot was distracted with the failed GPS unit and lost chart. There was poor decision-making throughout, from the planning stage up to the point when the flight was aborted. Start and end points should be close to, but not at, the departure and destination airfields (check the published airfield procedures to see if they stipulate locations). Remain away from the boundaries of airspace. Weather, other traffic and GPS failure could force you into infringement. Follow standard precautions around choke points, turning points or significant ground features. Include escape options in case there is bad weather. Choose features that are: Contrasting; Unique; Large; Tall. Use ‘handrail’ features – eg a road junction with roads converging from either side of the planned track. Avoid ‘electronic’ waypoints (ie those only available using digital aids) in case of GPS failure. Traditional navigation planning has involved the production of a Pilot’s Log, or PLOG. This is a useful tool for planning and in the air. While paper versions are still useful, most GPS software can also produce a PLOG – usually automatically and dynamically as the route is adjusted. However, it is good practise to transfer information from your PLOG to your chart – this reduces cockpit clutter and makes the data more accessible and easier to use. Turning point circles – wide enough not to obscure detail. Track lines – to avoid obscuring detail, these do not enter turning point circles. Wind arrow – good for situational awareness, as well as diversion/deviation planning. Track – on-track navigation is the key to infringement avoidance! Expected drift – calculated during planning. Fuel circle – usually contains the expected fuel at that point. Event marker – see later. 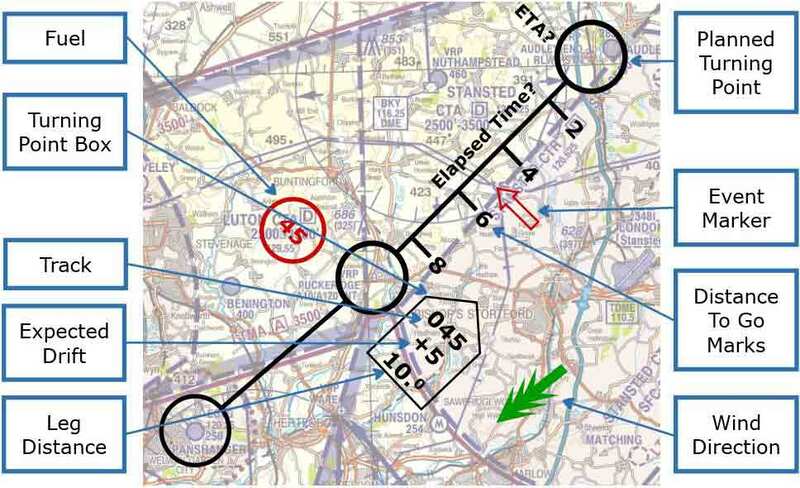 ETA – pre-flight calculated ETA can be useful, particularly for ATC messages. Marks for radio calls – agency and frequency. Listening squawks – agency, frequency and transponder code. Sector safety altitudes and where to change pressure settings. Check your GPS device is in ‘flight mode’. Ensure your GPS device is securely mounted and the display is visible. Connect your GPS device power supply and confirm that it is working. Stow the back-up batteries/alternate power source so that they are secure but easily accessible. Ensure that your paper chart is secure but easily accessible. If you use a stopwatch, and it is a good idea to do so, then confirm it is secure, visible and serviceable. Check the compass and DI are serviceable and synchronised; note deviation card. 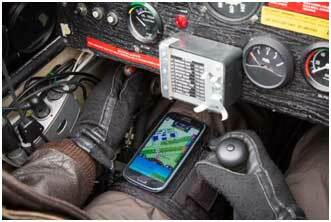 Check your GPS device is in the correct mode and set to ‘Go Flying’. – some will find them invaluable, others stop using them after gaining their licence. to help you maintain awareness of your position, or possible position. Ensure that the moving map on your GPS device has followed onto the runway. Check that the compass and DI show the runway heading. before going out of range of the Internet/cloud storage. Check the information on your chart matches your electronic PLOG. Remember that the start of the route should be a short distance away from the departure airfield (see ‘Route selection’). Use your GPS to confirm you have correctly identified the start point. Ensure that the moving map follows your climb out path. This technique uses turning points and other ground features chosen during the flight to create fixes at frequent intervals. 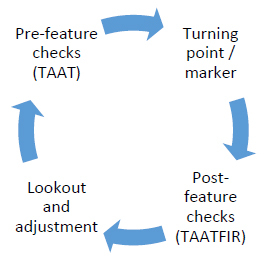 The technique is a simple method for maintaining on-track navigation so is an aid to the avoidance of airspace infringements. to help choose good markers. A paper chart should be used as your primary tool, with the GPS as support to enhance accuracy and provide confidence. If your device fails, using this technique will mean you are able to continue to navigate on-track and there is no need to panic. The technique is designed to keep your workload low, leaving plenty of time to look out of the cockpit! Approximately one minute before you get there, identify the feature on your chart. Adjust your tracking. Timing – is the elapsed time as expected? Zero the leg-time stopwatch (if you use one). Look directly ahead and choose an on-track marker. Check it correlates with the ‘magenta line’! Timing – is the leg-time stopwatch running? Radio – check chart/PLOG for next call; check correct frequency and listening squawk are selected. Stow the chart. Continue to lookout and fly accurately. Adjust tracking towards the marker, selecting new markers as required. – enjoy the view and enjoy navigating on-track. At approximately one minute to go to the next feature, start the process again. When at a marker, the aircraft should be rolled out onto the compass track to allow the next marker to be picked before adjusting heading to track towards it. During your planning, you should give some thought to suitable diversions and contingency routes. Remember that diversions may not be foreseeable. A GPS device with appropriate software is an ideal tool for unpredicted situations. Zoom out or use a paper chart to get the big picture before changing heading. Yes, this can happen even when using GPS! Admit that all is not well. – that is what they are there for! Note the leg timer and heading. – this gives time for lookout and for the compass to settle on the straights. 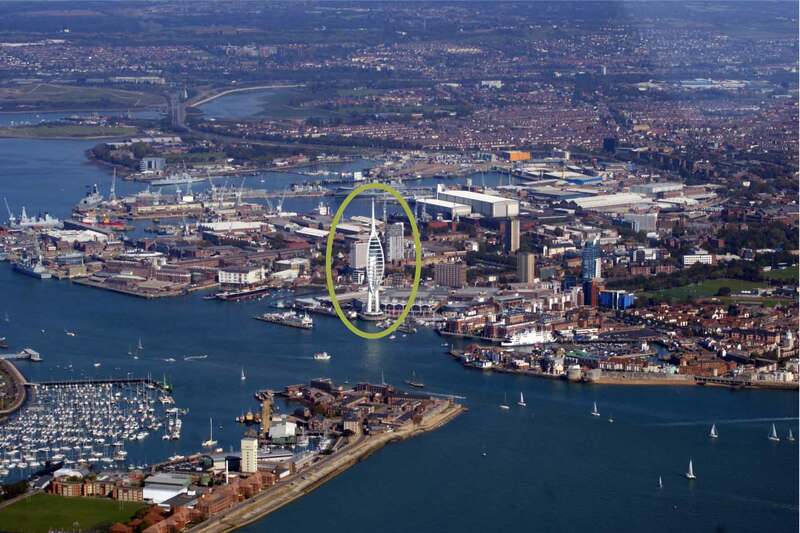 Orientate the chart – using the compass and any unique landmarks. – using the elapsed time to give a rough distance and the heading noted for direction. If your GPS device is working, this is your best navigation tool, but take care to check the surrounding airspace restrictions before using the GOTO button. When you know where you are, check your endurance and decide what caused the ‘lost’ situation; decide whether to carry on, go back or divert. It is a good idea to practise these procedures, including asking D&D for a training fix. Remember to stop the GPS device navigating. If you can, put your device on charge whilst at your destination. Most software has a ‘reverse route’ facility. You could use this to redraw the route on your chart. Your device may switch itself off if it becomes over heated. Communicate – if in doubt tell ATC and ask for help. Try using a substitute device.